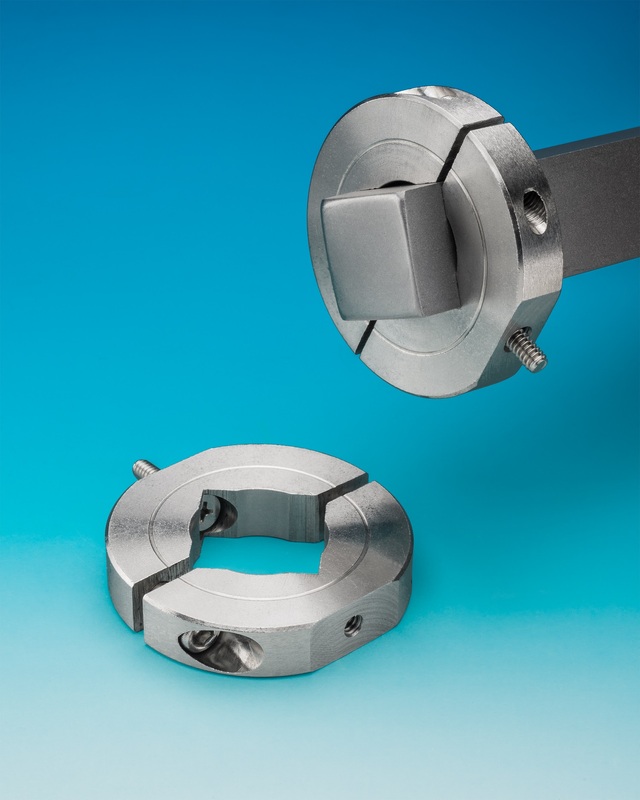 A new line of machined square bore two-piece shaft collars that mount on to square shafts and tubing for attaching a wide range of items is being introduced by Stafford Manufacturing Corp. of Wilmington, Massachusetts. Stafford Square Bore Mounting Collars are available machined from steel, stainless steel, aluminum, and plastics to fit square shafts and structural tubing from 1/2” to 2” square. Featuring one or two flats on the O.D. with dual-purpose threaded mounting holes, they can include a variety of mounting options and are suitable for a wide range of applications. Standard and large footprint designs of Stafford Square Bore Mounting Collars are offered to accommodate different size components and can be machined and modified to customer requirements. Round bore designs are also offered along with a low-cost plastic hinge mounting collar. Stafford Square Bore Mounting Collars are priced according to material, size, and quantity. Price quotations are available upon request.